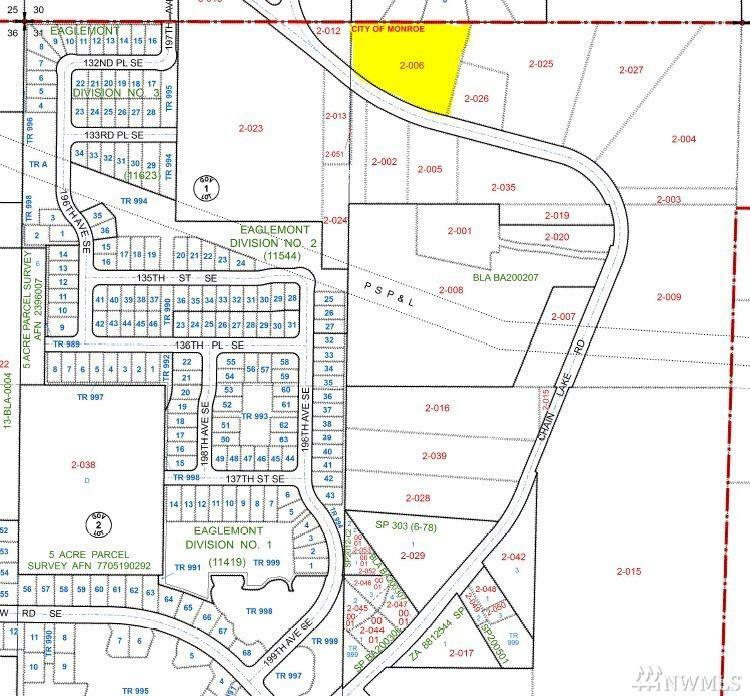 (DEVELOPER ALERT) Two contiguous parcels totaling 5.92 acres in Monroe's R4 zone now available in the north hill area of Monroe (adjacent to new development by MainVue and Pulte Homes). Potential lot yield for combined properties with a PRD is 31 units per City of Monroe. City water currently serves property. Sewer nearby with recent sewer extension for Easton Cove development (Pulte Homes). See additional property listing MLS #1218535.